MaMa's been on a quest to find a bread recipe that she can make on a regular basis for our family's bread needs, to this point, she's made breads that are definitely yummy, but may not be the best "all purpose" type bread. She wants something that cuts into thin slices, will work for everything from sandwiches to toast. Guess what? She's found the recipe! 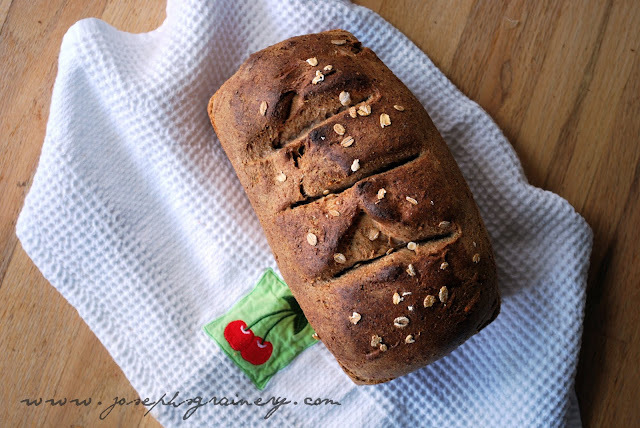 We loved this Honey Multigrain Bread. It made wonderful sandwhiches. We enjoyed it sliced, toasted and buttered for breakfast. It was an all around great loaf of bread. We adapted this recipe from one we found on My Fiance Likes It, So It Must Be Good. In a large bowl, combine the yeast and 1 c warm water. Allow to sit for 5 minutes. Then add the oats, honey, butter, and salt. Mix until butter has melted. Stir in both flours and yeast. The dough will be relatively shaggy. Add water (in 1/2 cup increments) until you have a manageable dough. In mixer, with dough hook, knead for about 7 to 10 minutes, or until dough is smooth and elastic. Oil a large, clean bowl and form your dough into a ball. Turn dough ball to lightly cover with oil in bowl. Cover loosely with plastic wrap and a warm, damp towel and leave for about an hour until it has roughly doubled in size. Turn dough ball onto floured surface again and punch down. With a floured rolling pin, roll dough out into a rectangle and fold like a business letter. Turn once and roll out and fold once more. 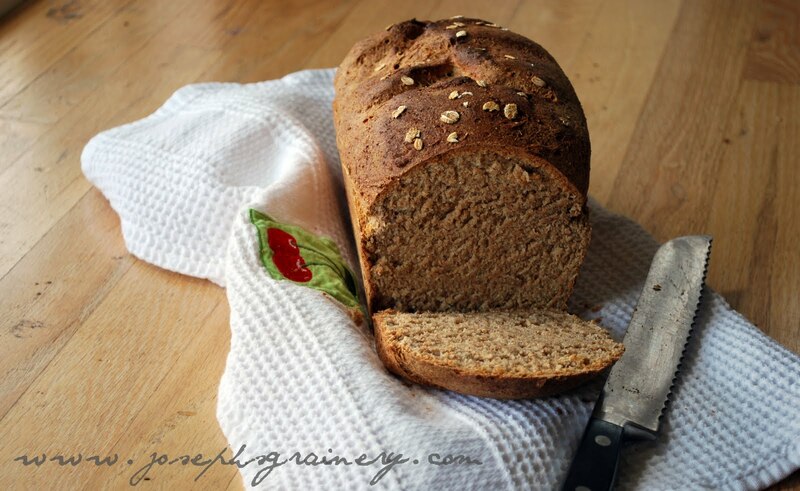 Fold in the sides to get a nicely shaped loaf. Grease a bread loaf pan and place dough, smooth side up in pan. Using a pastry brush, brush on enough milk to lightly coat the top. Lightly sprinkle oats on top, if desired. Cover with warm towel and let rise for another 30-45 minutes. Cut 3 diagonal slashes on top of bread and place in oven on middle rack. Place a baking sheet underneath and add about 1/2 to 1 cup of water. 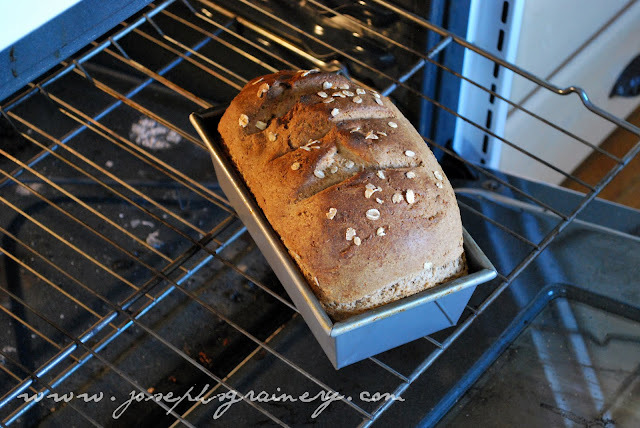 Heat oven to 375 F and bake for about 45 minutes, or until outside is golden and bread is cooked through. Cool on a wire rack before cutting.